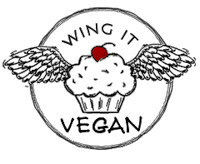 Wing It Vegan: Vegan MoFo - I've Been Outed, the Chocolate e-Cookbook Is Imminent! 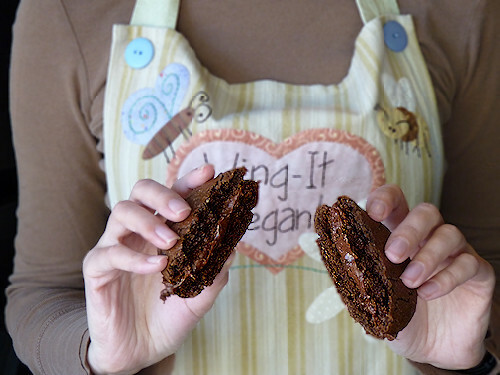 Vegan MoFo - I've Been Outed, the Chocolate e-Cookbook Is Imminent! Whaddyathink? Look good? All recipes are free of margarine, not because I have something against it, but because I know soy-free margarine is hard to find for some of you. Hmmm. Now I feel terrible that I'm showing you pictures of my goodies but not sharing any recipes. 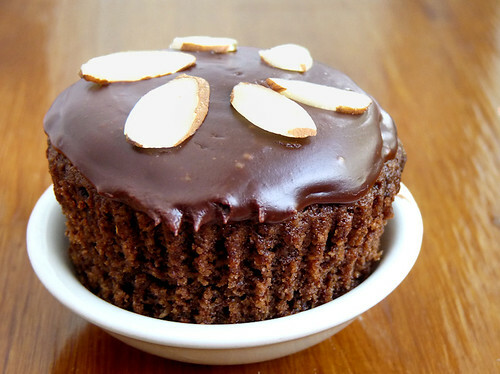 Can I make it up to you with some of my previous soy-free chocolate recipes? Question for the soy-free peeps: Is it difficult for you find soy-free chocolate chips and baking bars? I'm talking about that pesky soy-lecithin stuff that they add to everything. Holy cacao, batman! I'm having a chocolate meltdown! It all looks soooooooo good!! I can't wait for your e-cookbook! Seriously, an all chocolate e-book is making me ridiculously excited. I love your apron! Where did you get it? Did you make it? consider me customer number one on that book. if you need recipe testers... PLEASE let me know... I will test for you, and love Love LOVE it. This is pure eveel. Like really really eveel. Ahhh! It all looks so good. Now, stop blogging and get to work! EEE! A choco-e-book from my favorite crafty blogger?! When will it be out? omg! are those flourless whoopie pies xgfx???? oh my GAWD river!! This is such great news! I will be all over that bizness when you publish. I actually have been trying to use less and less margarine, so this is right up my alley. Woooooooot! That is awesome. :) I definitely can't wait. Your treats all look amazing! Saw your question about the soy-free chocolate, and yes, it's tough to find soy-free chocolate chips (Enjoy Life makes some though and I also like to buy a bar of really good chocolate and then break it into chunks), but baking bars are usually soy-free. Keep us posted on your book! OMG! 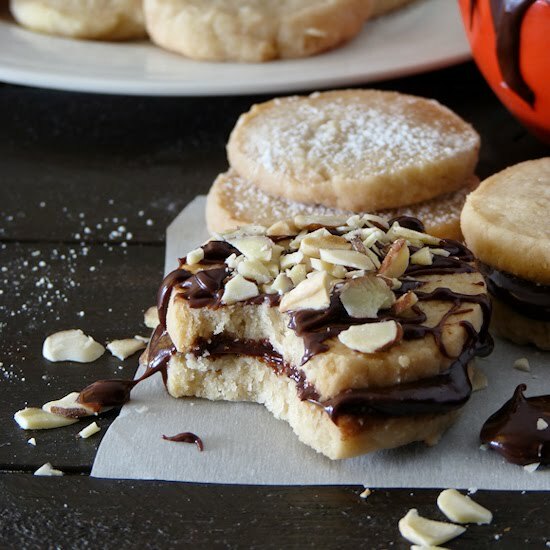 That all looks SO amazing, I cannot wait for your e-book....the mousse, the cupcakes, the whoopee pies - wow! Very exciting stuff, Ms. River!!! I can't wait - now go get to work tout de suite! choccie, choccie, choccie!! Can't wait for the book to be released!! Look how keen every one is for your cookbook! Me too! Me too! Is it ready yet? How about now? Now? This entire post looks delicious! I am so hungry now! (guess I'm feeling a bit better!). Whoa! You can cook for me! I wish I could bake like that! Get to work! Get to work! 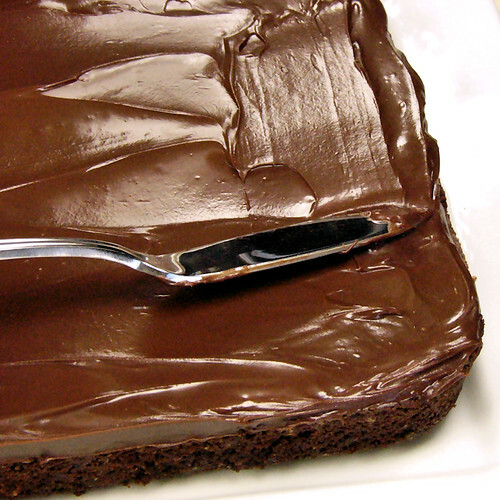 Well, well...a chocolate ebook...as if we didn't already love you enough. It ALL looks divine. I will especially be after those rolls. 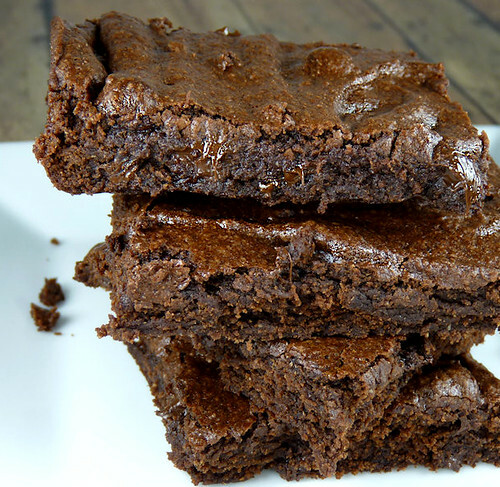 I want those brownies!!! 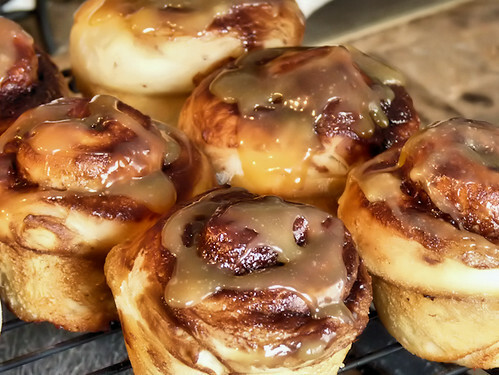 Stop procrastinating so I can have them, will you? 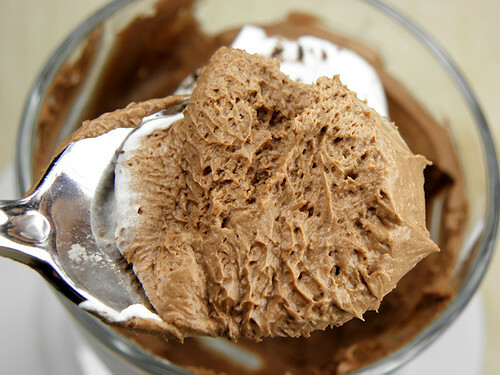 So I'm ridiculously craving chocolate now--what fun with the ebook! Can't wait to see it! River, you rock, and then you rock some more. And then you come back and rock even harder. All that chocolate goodness looks amazing. All chocolate! My kind of book! Thanks for the soy-free aspect. Appreciated. Yes, it is SO difficult to find soy free chocolate :( Plamil do make some, I think one of their bars uses sunflower lecithin instead of soy. This might be my most looked forward to ebook in ... ever! All chocolate? All the time? Sign me up. oh i cannot wait to get my hands on that e-book. 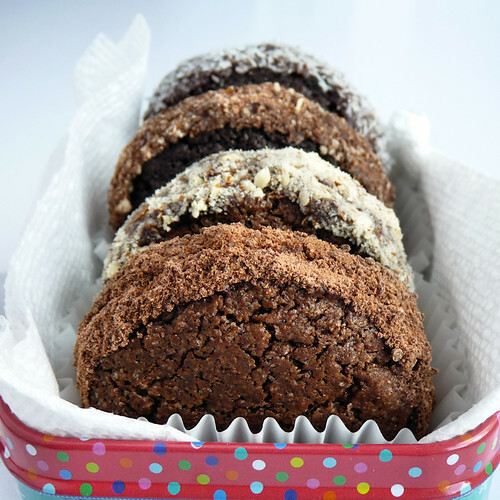 those chocolate sandwich cookies look like they belong in my kitchen! 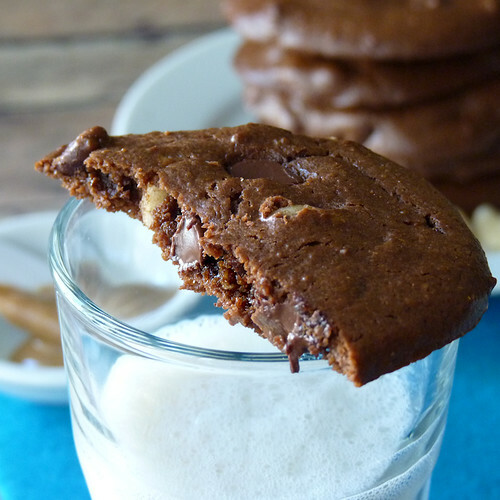 You had me at 'Chocolate e-Cookbook'...then killed me with those pictures! When is the ebook coming out?! I want it right this second. I'm pretty sure I'm going to be making all of the recipe in a very short period of time. oh my squeeeeeeeeeeee! I'm excited, very very excited. River, it should be illegal for you to show me so many chocolatey things! Looks good! Adorable. That all looks fab. I love that you have time to do all that crafting and STILL turn out such a scrumptous looking eBook. Clearly I need more work on my time management. I need to sample all of these. :) Happy Thanksgiving.